Well.. I just wanted to ask. What was the Game in the previous YOT site? As you know, I'm new so I wouldn't have a clue about the happenings before I came. We should try to really find some ways to help people get to this site. How I got to this site was a big story I tried to go to the old YOT site (found it in Tenshi's tekken 3 walkthrough) and it wasn't there. I checked a search engine and it wasn't there. (I came up with a forum for the Yoshimitsu Obession Team but it hasn't been occupied) Soon... when I was about to give up, I saw Tenshi's Sig in Tekken Zaibatsu which said "ManjiKai.com". Of course, being me this would probably happen to me only, but you never know. Probably yes... our hosting server also changed the domain name, that's why I decided to buy the "com" domain name "manjikai". 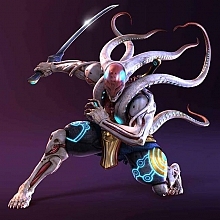 The YOT site was all about Yoshimitsu, not about the game. It covered both Tekken and Soul Calibur, you can view some parts of it in "YOT Archives". But you do have a point! We should advertise yTS more. Hmm...Maybe you rustle up some support from Tekken Zaibatsu? Or some other Tekken sites? SoulCalibur sites as well. To be honest, I'd rather see yTS with few, but loyal members than a bunch of arrogant flamers (which can be found on TZ pretty easily). Not that I have anything against TZ, but there's too many rude people there. W-a-y too many. Hmm... interesting. I haven't been there, but I guess that's a good thing. It was a nice RPG game where you could build up your character with the points you get from your posts. Then you could battle other members, buy weapons, items... it was pretty fun. Now putting that game in this new engine might be a *bit* harder so that's (probably) the reason it's not here (yet?). Consider the fact that Yoshimitsu values integrity, wisdom, and skill. (and SUMO WRESTLING on TV!) I don't think making a thread on the "Yoshimitsu" part of the forums with a link to the site would be a bad idea. Also, what are the benifits of being in a group? Manji clan member : Consider the fact that Yoshimitsu values integrity, wisdom, and skill. (and SUMO WRESTLING on TV!) 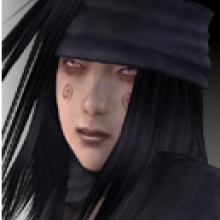 I don't think making a thread on the "Yoshimitsu" part of the forums with a link to the site would be a bad idea. I did that once, all I received was flaming. Bad idea. Yup... anyway, I have the address in my signature. Who loves Yoshi definitely tried it... or maybe not? Just wanted to post up that I (by accident) created two accounts named a and Perodious. For some reason I was able to login without registering. LOL, I noticed I have enough posts to be an admin. This is not strange because the levels are not post-dependant. This is to prevent people from spamming. We award with higher level for quality posting. Oh, I see. But then why is there a number next to the ranking? Rather perplexing really. EDIT: This question was never answered; What are the benefits of group membership?